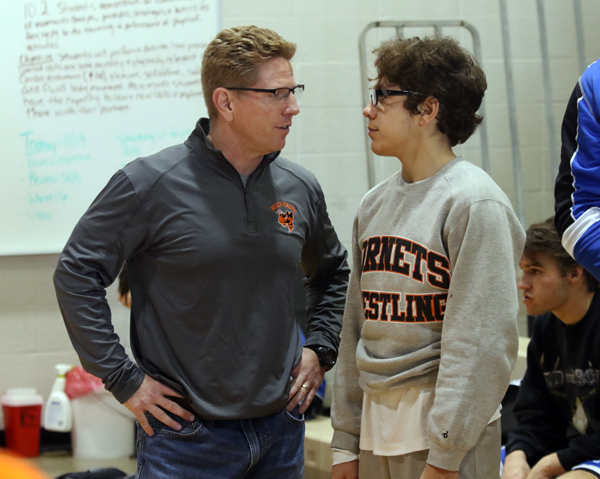 Ethan Smiley is one of Beech Grove’s hardest working students on the mat and in the classroom. 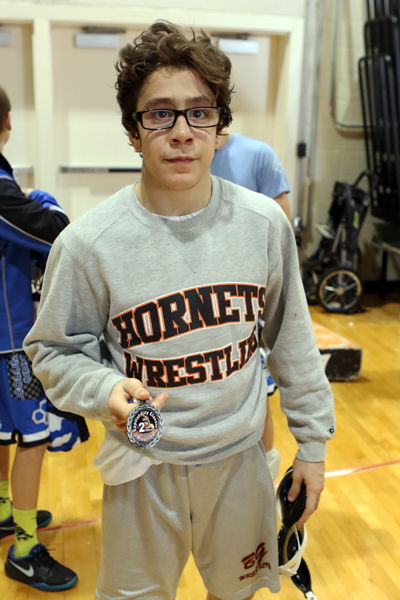 This weekend he will be participating in the Indiana State Wrestling Tournament for the third year in a row. Beech Grove has a long history of competitive wrestlers, and Ethan and his teammates have added to that tradition with a successful season that included winning the ICC Conference Championship, sending six wrestlers to regionals, two wrestlers to semi-state, and a three-peat appearance for Smiley at the state meet. I had the pleasure of sitting down with Ethan for quick interview before he headed out to Bankers Life Field house. Starks: Ethan, How have you been preparing for your third state appearance? Ethan: My drill partner Bailey Moore has been mimicking situations and opponent moves to simulate and drill what I might experience at the meet this weekend. Starks: What weight class do you wrestle in and what do you do to stay on weight during the season? Ethan. I wrestle in the 132 lbs. weight class. During the season I will diet throughout the week and complete some extra workouts if needed. I don’t have a very hard time staying on weight, but I will watch my diet and nutrition as I move closer to weigh-ins. Starks: What have you learned from your previous two state appearances that you will bring with you to this meet? Ethan: Ultimately I want to make sure that I enjoy the experience. Since this is my third time at the state meet I know that when it is time to wrestle I need to make sure I keep my emotions in check. This helps to keep my energy consistent and allows me to wrestle at my best. Starks: I image to wrestle at your level it isn’t something you just start up when the wrestling season comes around. Do pretty much wrestle competitively year round? Ethan: Yes, I participate in the BG wrestling club. I also train at CIA (Central Indiana Academy of Wrestling). Starks: Have you set any goals for the state meet? Ethan: I try not to think too much about the big picture. Of course every wrestler dreams of winning the state meet and becoming a state champion, but for right now I am just focusing on each match. Starks: How does the state tournament run? Ethan: If I win Friday I will be an automatic placer and move on to wrestle on Saturday. Wrestlers who don’t win Friday are out of the tournament. Starks: Who did you draw as your first opponent and have you ever wrestled him before? Ethan: I will wrestle Jack Tolin from Chesterton. I have never wrestled him in competition but we have practiced together before. We wish Ethan the best of luck as he prepares for his match tonight at Bankers Life Field House. The parade of champions will start about 5:30 with matches starting around 6:00. Please come out and support one of Beech Grove’s finest. You can also track Ethan’s progress at the state meet by visiting the Track Wrestling website. If you’d like to see the Swarmed interview with Ethan check out the video below. He was interviewed by fellow teammate and senior wrestler Cody Conaway (minute 4:00 to 5:30).